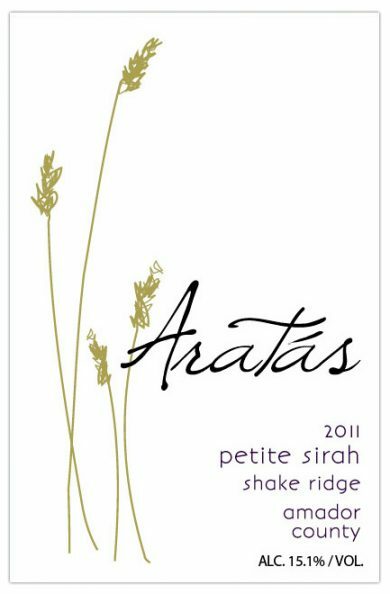 Aratas Shake Ridge Ranch Petite Sirah is grown on the high ridgelands of the Sierra Foothills. Amador county is known for its hot dry climate and notable zinfandels but our grower’s spectacular ranch is planted to vine at elevations starting at 1650’and climbing rapidly to over 1800’ feet above sea level. 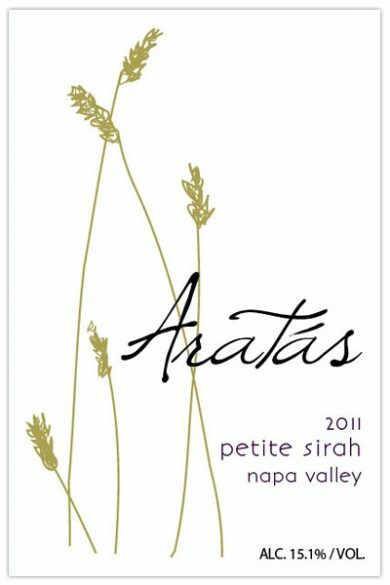 Just two small lots produce a coveted amount of Petite Sirah. Both were obtained through the UC Davis Foundation services by renowned grower, Ann Kraemer and noted for their exceptional clone true to the varietal. At this elevation, the vineyard experiences as much as a 50 degree diurnal temperature swing which intensifies the sugars in the fruit then drives the acid when temps drop precipitously fast after sunset. The unforgiving terrain has dramatic slope ranging 10-28% which sheds rain fall so the roots must dive deep to capture what they can thus each tiny berry produced hangs rich and concentrated in flavor. Vineyard management is extremely laborious. As is typical for Ann’s vineyard management style, each row is scrutinized vine by vine then then pruned just at the precipice of bud break. 2012 was an fairly moderate season with a gentle warm up. The vines were pruned in mid-March, later than our Napa vineyard would typically experience to protect in case of an early frost. The small berry Petite is oriented NE – SW to safely protect against burn yet maximizes exposure to ripening rays. Crucial for development, first drop took place in July allowing the plants as much time as possible to invest their best effort in the excessively low yields as only the most evenly formed clusters will make the cut. 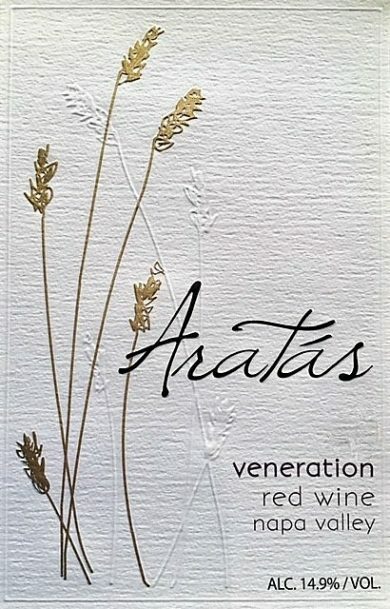 The granitic soils of the Sierras are harsh so just before veraison, when the fruit begins to develop the phenols that create its complex aromatics, the vines are fed organic nutrients made from fish emulsion, chicken feathers and other stinky but healthy things. Harvest commenced in the wee hours of October 16th as the temperature pendulum began to transfer its weight. Harvest on Shake Ridge Ranch is performed only at night, typically just hours before sunrise by the light of headlamps, each vineyard worker moving stealthy through the vines, one cluster at a time. Precision Optical Sort, 7 day cold soak, aged 27 mos in 50% New Trust Hungarian Oak, cellar aged for 12 months before release. Bottled unfiltered and unfined on native yeasts. Harvest date Oct 16, 2012. Contact us for reduced shipping on orders of more than 12 bottles or place multiple orders. 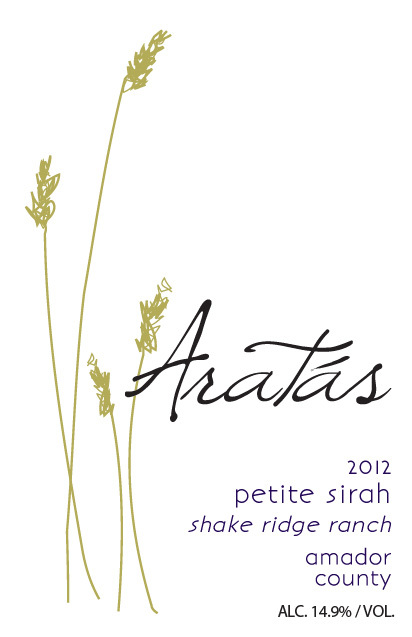 Aratas 2012 “Shake Ridge Ranch” Petite Sirah is grown on the high ridgelands of the Sierra Foothills. Amador county is known for its hot dry climate and notable zinfandels but our grower’s spectacular ranch is planted to vine at elevations starting at 1650’and climbing rapidly to over 1800’ feet above sea level. 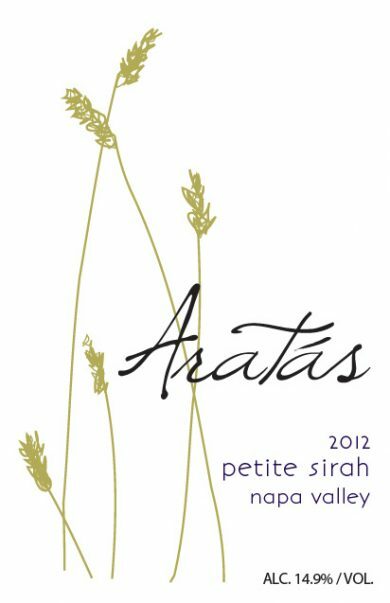 Just two small lots produce a coveted amount of Petite Sirah. Both were obtained through the UC Davis Foundation services by renowned grower, Ann Kraemer and noted for their exceptional clone true to the varietal. At this elevation, the vineyard experiences as much as a 50 degree diurnal temperature swing which intensifies the sugars in the fruit then drives the acid when temps drop precipitously fast after sunset. The unforgiving terrain has dramatic slope ranging 10-28% which sheds rain fall so the roots must dive deep to capture what they can thus each tiny berry produced hangs rich and concentrated in flavor.